It’s a big step in the life of a parent- and a toddler- moving out of the crib into a big kid bed! But when is the best time to move to a toddler bed (or any size bed)? I’ve successfully moved 6 kids from a crib to a bed, without drama, and without interruption of sleep. Here are some of my thoughts and tips on how and when to move your toddler out of the crib! When Should You Move Your Toddler Out of the Crib? I moved my first son to a twin sized bed when he was 15 months old. And his 3 younger brothers were moved at similar ages- 18 months old at the very latest. Now some people may think that moving a 1 year old out of a crib is CRAZY, but here’s why I think it’s better to make the move sooner than later. Less Power Struggle: A 1 year old doesn’t have the independent streak a 2 or 3 year old has. They are more accepting of your authority. Less Independent: A 1 year old doesn’t yet know they CAN get out of bed. A toddler bed or twin bed with rails, or up against the wall feels like a crib to them. One of my sons wouldn’t get out of bed for a good 6 months. He would wait for me to come get him at nap time and in the morning just like he did in his crib. Safety: I see all sorts of articles and products talking about preventing your toddler from climbing out of a crib- the best way to prevent climbing is to take the crib away. Siblings: If you are planning to have more children, especially if you are already pregnant, it’s best to move to a big bed BEFORE the baby has arrived. And better yet, before your older child even knows of his sibling’s existence. This reduces the chance that your older toddler will resent the baby for taking his bed. When to Move to a Toddler Bed? Here’s another one of my personal opinions- skip the toddler bed altogether! 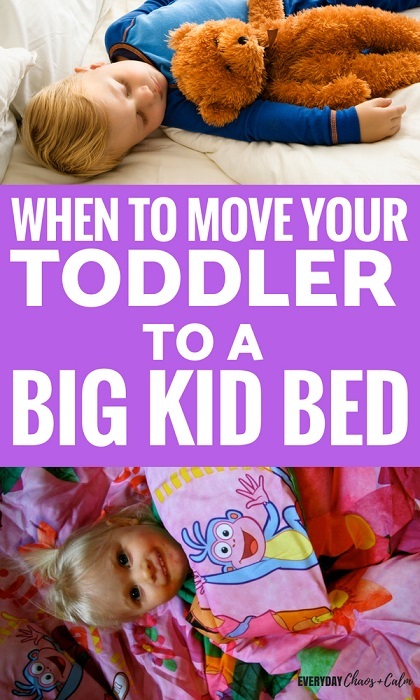 If you are moving your toddler to a big bed- do that- move him to a BIG bed. A bed he can stay in for a long time- throughout his entire childhood! A twin or full mattress directly on the floor. Related Reading: How to Get Your Newborn to Sleep! Let them pick the bedding. Their favorite character or color on the sheets and pillow cases goes a LONG way. Don’t change your bedtime routine. The more you keep the same during this time of change, the easier it will be. If you don’t have a bed time routine, start one. Give them time to adjust. This may mean you have to lay in bed with them for a little while or sit in the room. And that’s okay. Don’t engage in a power struggle. 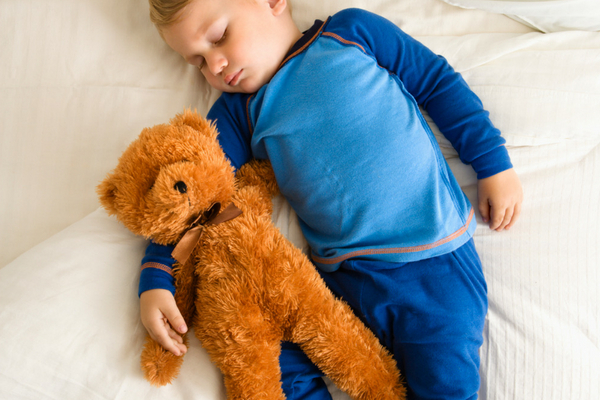 This is one change that can lead to bad bed time habits for years to come. If your child is getting up and down, coming in and out of their room, I suggest either laying in the bed with them or sitting in the room. Silent. Turn your back on them and pretend to sleep too. Once they are used to the new way of sleeping you can slowly wean them off of your presence. Same place. Same items. It’s best to put the bed in the same place as the crib and include the same items. This includes any pillows, blankets, and stuffed objects. Consider placing the mattress on the floor. This is both for safety- since it reduces chances of falling. And it helps make the big bed less scary. Make it final. Don’t be wishy-washy. Take the crib away, and put the big bed in its place. No going back. 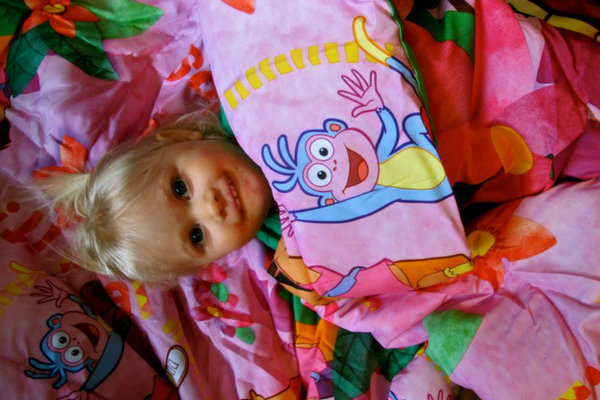 19 Fun Indoor Toddler Activities for Rainy Days!